North American carriers Delta Air Lines and WestJet have sought approval from the US transport regulator for a joint venture to integrate their combined passenger services between the United States and Canada in a bid to offer stiffer competition against rivals. Delta and WestJet have operated under an “arm’s length” codeshare arrangement since 2011, which at the moment extends to 250 routes and basic reciprocal frequent flyer program benefits. “The Delta/WestJet JV [Joint Venture] will be pro-competitive and pro-consumer,” the airlines told the US Department of Transportation on Wednesday, 10 October, 2018. The joint venture would span more than 8,100 city-pairs, including new or expanded service on “at least 20 nonstop routes”, which includes up to six new cross-border routes over the next five years. Connectivity will be optimised on hub networks, including the New York-Toronto, Chicago-Toronto, Los Angeles-Vancouver and Los Angeles-Toronto city pairs. It will produce nearly a quarter of a billion dollars in annual consumer benefits. “It will fully align Delta’s and WestJet’s incentives to offer more flights and lower fares in the large US-Canada transborder market,” the airlines vowed. 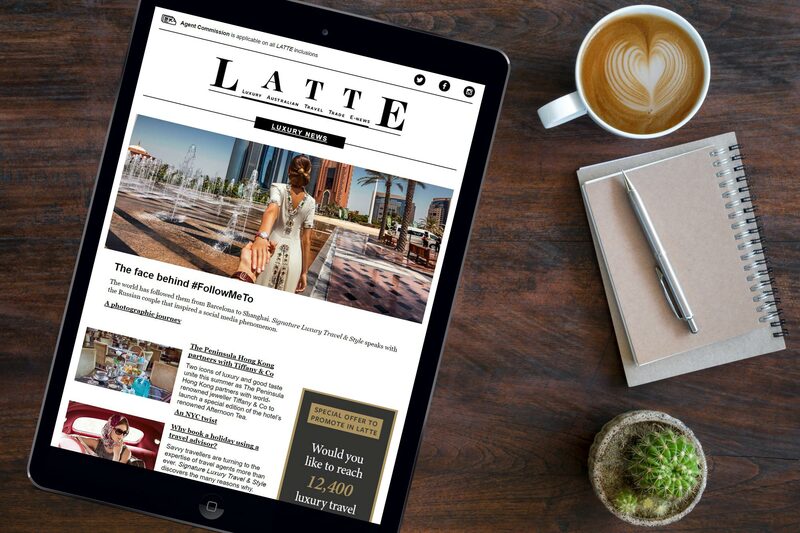 Along with “substantial new online service benefits”, the arrangement will provide customers with access to “world-class airline products, superior frequent flyer benefits, shared airport facilities and amenities and a more seamless travel experience”. Within the 100+ page application to the DOT filed this week, Delta and WestJet said their joint venture “will also create a more effective network competitor to United/Air Canada”. 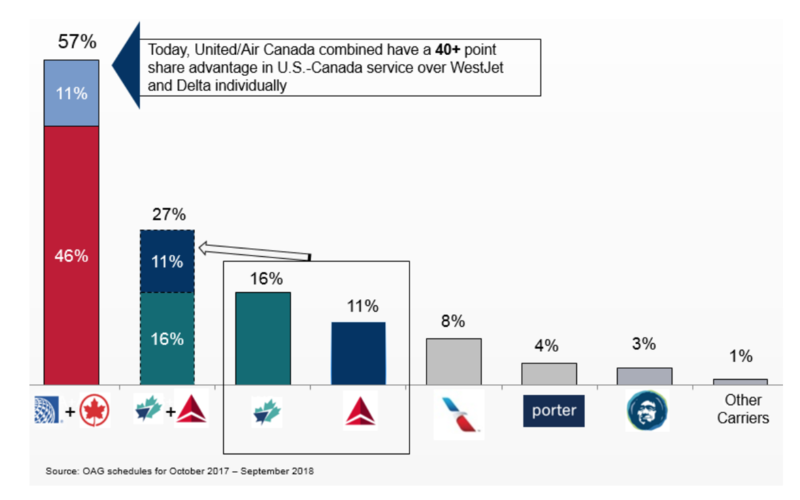 The JV “will improve the already robust playing field in the US-Canada market by allowing Delta and WestJet to add capacity and compete more effectively against United/Air Canada”. Their combined share of seats between the US and Canada (27%) will still dwarf that of United/Air Canada (57%), of which Air Canada alone operates the lion’s share at 46% of capacity. The airlines are also seeking anti-trust immunity, claiming the tie-up will produce “significant” public benefits, while not substantially reducing or eliminating competition in any relevant market. Elsewhere in their joint submission, the carriers said the deepening of their existing alliance would also incorporate WestJet’s new Ultra Low Cost Carrier (ULCC), Swoop, which debuted in June this year.